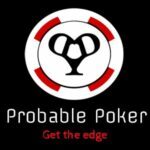 I was so excited when Cardplayer Lifestyle poker blog founder Robbie Strazynski messaged me asking if I’d be interested in doing a book review. I got even more excited when he said that the book in question was Unfolding Poker, the newest offering from semi-professional poker player and coach James “Splitsuit” Sweeney! I am a longtime fan of James’ many poker video tutorials, which can be found on various poker sites including splitsuit.com and the redchippoker.com poker forum, which he co-founded. Coincidentally, James’ first book, Dynamic Full Ring Poker, is next up on my list of poker books I want to read. I was so excited to do the book review that I had to tell someone the news, so I told Brian Dahl, owner of Capital Wood Products where I work. He dabbles in betting on horses and we often chat about poker and horse betting strategy. Indeed, there is a whole world of equestrian games and sports betting out there, but that is a blog post for another day. Brian is a smart guy and very analytical, so he laughed and asked if I could be objective and impartial doing a book review written by someone I was a big fan of. I honestly told him I couldn’t be unbiased! Fortunately for me, it didn’t matter because I knew before I even turned the first virtual page of the Unfolding Poker eBook that it was going to be amazing! 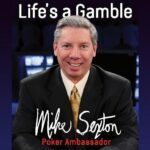 Mr. Sweeney did not disappoint, not only did he nail the execution of compiling some of the most compelling poker questions we all have, but he also thoroughly addressed them via easy-to-understand concepts (I was confident he would). In his introduction he explains that he has worked with over 500 students, released hundreds of training videos, and posted more than 10,000 times in various poker forums. Who is more qualified to take on this sort of an instructional challenge than someone with that kind of exposure? I can’t even imagine the exhaustive laundry list of questions he had to draw from. Where do you begin?! It’s no wonder he mentions that a follow-up book may be required. 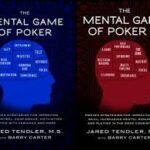 Not only is Unfolding Poker a jam-packed Q&A for its compact size, but the eBook version also contains an exhaustive list of pertinent links that will provide months and months of valuable study material. James points out in chapter 9 that reading a poker book from cover to cover is not going to provide the level of engagement necessary to digest the content. 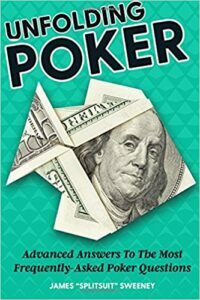 With that said, Unfolding Poker is a quick read and it is loaded with substance that will boost your win rate and bankroll once you dig into it with some depth. The material covered is not just filler either; James is an old school “for the love of the game” kind of guy. He has a genuine desire to move the game forward by providing poker players with learning materials that have the potential to turn a recreational fish into a regular shark! It’s a win win for poker and its players. 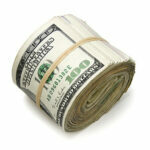 The contents of Unfolding Poker are aimed at beginner-to-intermediate-level players. 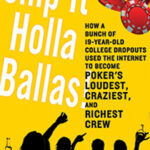 Even so, the book would still constitute a great review for advanced players who are already crushing it at the tables. Unfolding Poker answers questions ranging from how to make money in tight games to whether you should loosen up or not (hint: you should!). Ever wonder about running it twice? Ever wonder about variations on standard bet sizing or the rationale of playing just one level above the villain (not 20) and avoiding fancy play syndrome (FPS)? It’s all in there! 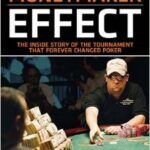 The links throughout the book take you even deeper into a particular subject such as how to count combos and factor in blockers, bankroll management and taking shots. There’s even a link to a free webinar on turning frequencies into hand ranges and another link to a podcast where you can learn about poker masterminds and see if you could benefit from joining one. I could seriously go on and on about this book, the value of Unfolding Poker far exceeds the cost to own it. I am so blessed to have it in my library, but it is going to be a while before it goes on the shelf. There are literally months of not only study materials, but also links to videos, podcasts, webinars, blogs, vlogs, you name it! So, yeah, I give James “Splitsuit” Sweeney’s Unfolding Poker two very big thumbs up! 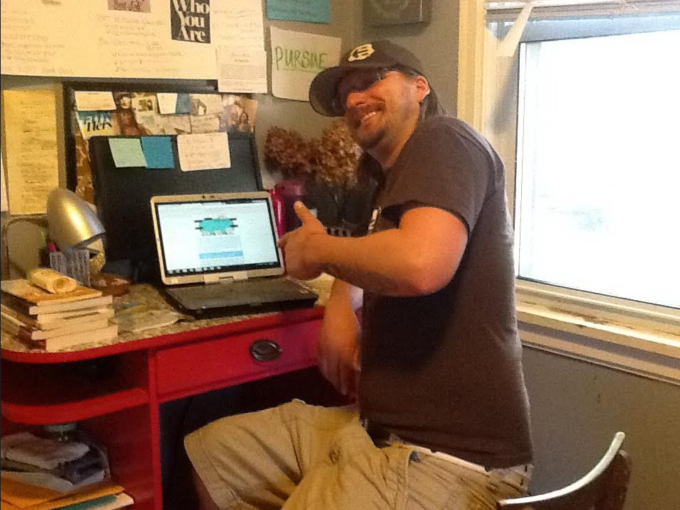 My wife took this picture of me enjoying Unfolding Poker eBook. I loved it!